Are you ready to make incredible videos and films without breaking the bank? Then you're ready for 6 filmmaking tips that will save you both time and money. Honestly, you shouldn't have to spend tens of thousands of dollars on top-end equipment to make great films. The good news is, you don't have to. It just takes a little ingenuity to create the same effects as expensive equipment, using common everyday tools. A semi-professional video team can charge $1,500 - $3,000 for a 1-2 minute video. Maximize your profit with the six filmmaking hacks below. Having a follow-focus helps you be more efficient and precise as you film a scene. It allows you to adjust the focus onto different subjects, as well as maintaining focus as you move the camera relative to the subject. However, the device itself can be very expensive, costing $100 or more. Instead, create a DIY version of a follow-focus using a zip-tie and a rubber band around your focus ring. To get step-by-step instructions, this video tutorial will show you what you need to know. The results will be much smoother than using your hand for focusing, and much, much cheaper than the follow-focus device. One of the hardest things to do in filmmaking is keeping a steady, level shot without expensive equipment. A Steadicam costs over $300 on Amazon, and even lower-priced options are expensive. You can find Steadicam DIY videos online from sources such as Videopia. If you're not very skilled at DIY solutions, you can find an even easier solution by creating a Merricam. If you have a standard tripod and can remove a single screw, you can make your own Merricam. Another great filmmaking tip for keeping your camera steady is using a wheeled dolly with your camera attached. 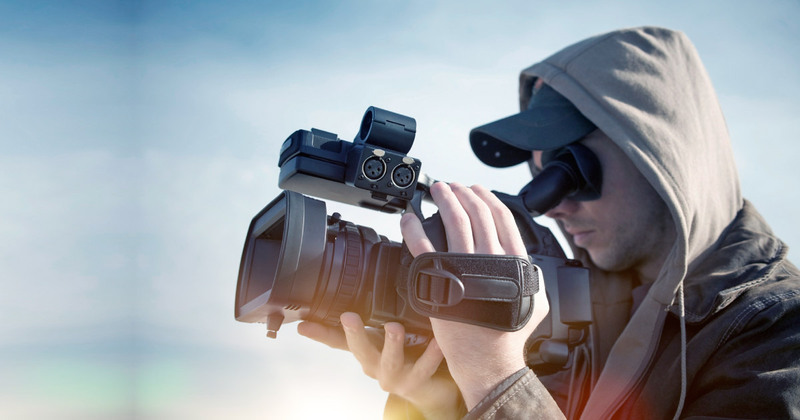 Generally, you create a track and push the camera smoothly along as you shoot your scene. You can create your own with an old skateboard. No one wants to deal with a letter from Sony or any other music publisher about stolen music. Finding a great source for royalty-free music and sound is a must. Of course, like other solutions, it must be affordable. "Royalty-free" can mean different things, so let's clarify quickly. Any music or sound has a copyright holder, based on who created it. They are the only people who have the right to do anything they want with the music. In order to gain access to use the music or sound yourself, you'll need the license. Maybe, if you're lucky, you know someone who can get you the license for free. More likely, you'll need to pay. There are multiple types of licenses, and different ones give you different rights to work with the music or sound. Often, music licenses are set up where you have to pay "per use", "per project", or "per time period" licenses, meaning that your access is limited. Of course, for filmmakers with big budgets, this isn't a problem. But to keep your costs down and to save time, you want access to music you pay for once and then you're done. This is where royalty-free music (sometimes called stock music) comes in. Once you purchase the license, you can use it as long as you want, and as often as you want. There still may be limits - you probably can't sell the music as your own, for instance – but you only pay one time for use of the music or sound. Even with royalty-free music, you should pay careful attention to the license restrictions. Don't be fooled by "production music"; – you still have to pay for those multiple times. Find true royalty-free music for your projects by clicking the link. You need great lighting to create a great film project, but professional film lights can be ridiculously expensive. Instead, create your own lighting with some simple tips. A white lampshade makes a great diffuser. You can also use shower curtains or bedsheets to diffuse light. Using white allows the light to be natural and creates a soft, flattering effect. No tripod? No problem! Creating a shoulder mount allows you to have the same stable shot. Rather than buying an expensive commercial solution, you can make your own for $25. This video shows you how, and includes a full shopping list. Other tips for carrying and moving your camera smoothly around a scene include using your car as a dolly. You can put your camera on the hood or roof, or even ride in the open trunk as someone else drives (carefully!) around the scene. You'll want to make sure the camera is secure so the shot stays smooth – combining a shoulder mount with a car ride can be just the trick! When you're ready to start getting well-paying commercial and corporate work, an overhead camera rig is a must. Unfortunately, high-quality rigs can easily cost over $500. Instead, save yourself the money and create your own. This video shows you how to create your own overhead camera rig with simple materials. This setup is easier and more stable to use than an expensive tripod head. This overhead rig will allow you to give great perspective for demonstrations and product videos. These six filmmaking tips can make a big difference if you're looking to create semi-professional or professional videos and films without all of the expensive equipment. A DIY follow-focus, Steadicam solutions, royalty-free music and sounds, DIY lamp lights and shoulder mounts, and a homemade overhead camera rig can help you get the professional results that you need at a fraction of the cost! How do you cut costs during your projects? Happy filming!